It’s no secret to those close to me that The Office is my favorite television show. My husband and I have probably Netflix’ed the entire series at least 10 times. I’m constantly quoting lines and relating my life experiences to something that happened on the show. Though I have learned much about HR since joining AgCareers.com nearly five years ago, I must say that I also often see parallels between my industry colleagues’ work and the humorous and often outrageous scenarios played out on the hit NBC sitcom. Here are lessons The Office has taught me about HR and management that I think are relevant and valuable to anyone working in this field. 1. How NOT to Behave in the Office or Workplace. This probably goes without saying, even if you haven’t seen The Office. Between spending weeks planning pranks to pull, creating playlists for your office crush, constant parties, and pointless meetings, not a lot of work is actually done on this show. Are your employees really working behind their computers? But more than that, unethical and inappropriate happenings that would make any HR professional spill their chili are the norm in Scranton, PA.
2. Show Your Staff They are Appreciated. Aside from his unacceptable comments to and about women in the workplace (which would certainly never fly on a sitcom today) and his treatment of Toby, Michael Scott has to be commended for his treatment of his staff. 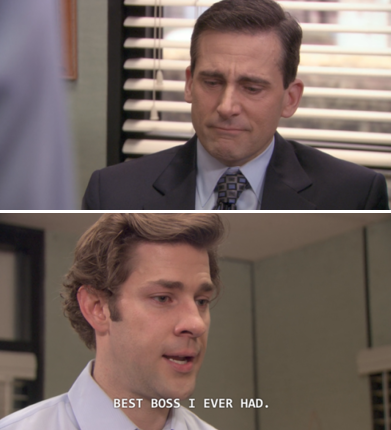 He holds an award ceremony for them, he participates in great initiatives like “Take Your Kids to Work” Day, he sponsors a (albeit ridiculous) charity 5K for his employees to run in, he gives the entire staff the Friday off before Jim and Pam’s wedding, and don’t get me started about all the goodbyes he gives his staff in “Goodbye Michael.” I could go on. Take cues from the golden Michael Scott moments, after he gets all his fake firing and “that’s what she said’s” out of the way: he goes the distance for his staff. We are gearing up for the industry’s premier North American event for HR and educational professionals which will be held August 7-9, 2018 in Tulsa, Oklahoma! 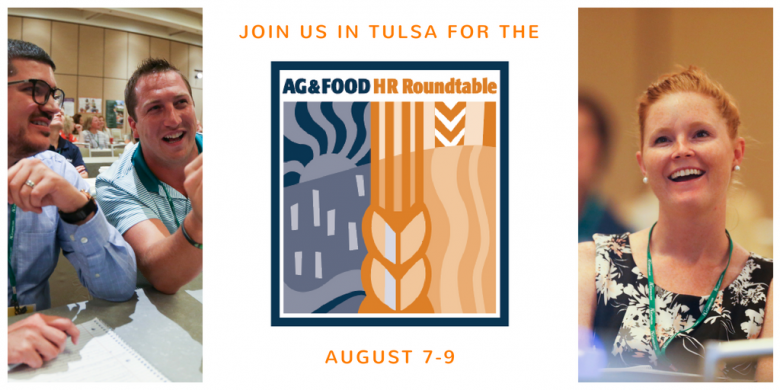 Hosted by AgCareers.com and Oklahoma State Universities College of Agricultural Sciences and Natural Resources, the Ag & Food HR Roundtable will provide relevant content examining recruitment and retention specifically within the ag and food industry. The opportunity for HR and educational professionals to network at the same conference is unique and rewarding! In preparation for this year’s event we asked repeat attendees to share their thoughts on the Ag & Food HR Roundtable. Paula Beecher is the Director of the Bookhart Student Services Center for the College of Agriculture, Forestry and Life Sciences at Clemson University and Kevin O’Conner serves as the Recruiting Coordinator for AgReliant Genetics. Both have attended the event in the past and will also be on site in Tulsa. What was your favorite part of last year’s Roundtable? Paula: My favorite part of the Roundtable last year was hearing from the speaker who co-wrote the book Marching off the Map (Andrew McPeak). I loved this session and have used this book and his ideas throughout the year! Diversity in Agriculture: How Diverse is Agriculture’s Workforce? At AgCareers.com we recognize that as agriculture itself has diversified, so has its workforce. In response, we conducted a survey to capture employer’s efforts to address diversity within their organizations. 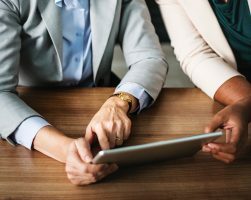 The results of the Workplace Diversity Survey-2018 U.S. Edition shares details on the current state of workplace diversity in agriculture. While the survey results contain a wealth of valuable information and insight, there were a few key findings that really stood out. ● Females are represented as diverse talent at 83% of organizations. ● 67% of organizations reported more than one race is represented by their employees.